We’d love your help. Let us know what’s wrong with this preview of Late, Great Lakes by William Ashworth. To ask other readers questions about Late, Great Lakes, please sign up. Ashworth takes us across the Great Lakes, blending history and geology with a first-person narrative to describe the absolute beauty of the scenery on North America's Fifth Coast. The first quarter of the book or so talks about the discovery of the Great Lakes by Europeans and their subsequent drive to tame the vast waters, use them for commerce and ultimately exploit their resources and navigation channels for a new nation. First it was fur, then trees, then metal, each industry ravishing the l Ashworth takes us across the Great Lakes, blending history and geology with a first-person narrative to describe the absolute beauty of the scenery on North America's Fifth Coast. The first quarter of the book or so talks about the discovery of the Great Lakes by Europeans and their subsequent drive to tame the vast waters, use them for commerce and ultimately exploit their resources and navigation channels for a new nation. First it was fur, then trees, then metal, each industry ravishing the landscape in a different way. 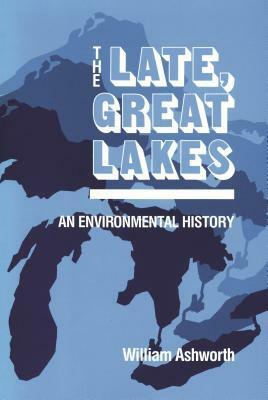 Interesting history of the Great Lakes and the history of them being spoiled by humans. Written in 1987 - wish there was an update as I know much clean-up has been done.